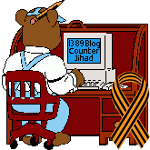 Russian Orthodox Church expands into the Muslim Caucasus — 1389 Blog - Counterjihad! The Orthodox church is expanding directly into the Muslim Caucasus. Mr Lunkin does not like the Church expanding into the muzz areas! How dare they! Originally the name of one of the divisions of the Roman Empire. Diocletian (284-305) and Maximian divided the empire into four great Prefectures (Gaul, Italy, Illyricum, and the East). Each was subdivided into (civil) Dioceses, and these again into Eparchies under governors (praesides, pegemones). The Church accepted this division as a convenient one for her use. The Prefectures of Gaul, Italy, and Illyricum made up the Roman Patriarchate; the Prefecture of the East was divided (in the fourth century) between the Patriarchs of Alexandria and Antioch and three exarchs. The Diocese of Egypt was the Patriarchate of Alexandria, the Diocese of the East (not to be confused with the Prefecture of the East) became that of Antioch. Asia was under the Exarch of Ephesus, Pontus under Cappadocia, and Thrace under Heraclea. Under these patriarchates and exarchates came the eparchies under metropolitans; they had under them the bishops of the various cities. The original ecclesiastical eparchies then were provinces, each under a metropolitan. The First Council of Nicaea (325) accepts this arrangement and orders that: “the authority [of appointing bishops] shall belong to the metropolitan in each eparchy” (can. iv). That is to say that in each such civil eparchy there shall be a metropolitan bishop who shall have authority over the others. This is the origin of our provinces. Later in Eastern Christendom the use of the word was gradually modified and now it means generally the diocese of a simple bishop. The name Eparchy is, however, not commonly used except in Russia. There it is the usual one for a diocese. The Russian Church now counts eighty-six eparchies, of which three (Kiev, Moscow, and St. Petersburg) are ruled by bishops who always bear the title “Metropolitan”, and fourteen others are under archbishops. Defense Minister Sergei Shoigu on Friday pledged his support for the Russian Orthodox Church, promising to re-establish the close ties that bound religious and military officials before the October Revolution in 1917. “We will continue to support the Russian Orthodox Church with renewed energy and, most importantly, restore those traditions that existed under the Russian [pre-revolutionary] government,” Shoigu said at a meeting with Patriarch Kirill, the country’s top Orthodox Church official, RIA-Novosti reported. Shoigu, who was installed as defense minister in early November after his predecessor was ousted amid a corruption scandal, worked closely with the church in his capacity as emergency situations minister, a post he held for almost two decades. Russian authorities are often accused of an overly cosy relationship with church officials…. At the meeting with Shoigu on Friday, the patriarch expressed hope that his appointment would lead to a strengthening of Russia’s armed forces. “Understanding the importance of the responsibility placed on your shoulders, we will pray for you. At every service, the church prays for the country’s authorities and its army,” Patriarch Kirill said. Something tells me that the Russians might be looking for a fight. And that is a good thing.